Many rumors suggest that Apple will release a low-cost iPhone this year. 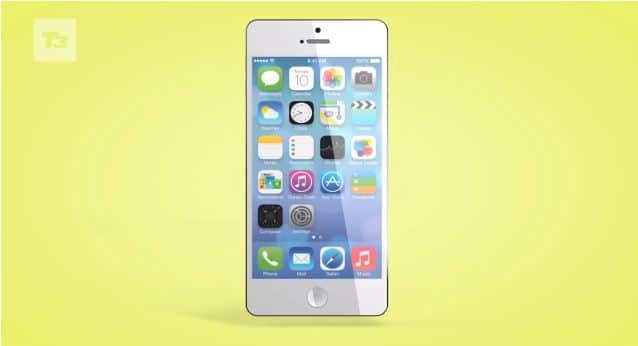 It have been rumored that this new iPhone will be possible named the iPhone Lite or iPhone Mini. Based on rumors and leaks part for this iPhone, T3 has created a 3D concept on how the iPhone Lite might end up looking once Apple officially announce it. The concept shows a 9.3mm thick iPhone with the same thickness of an iPhone 4S. The phone has a polycarbonate back, 124 mm in height and 59 mm of width. You’ll also see that it has the same volume buttons found on the iPod touch and iPad mini, Lightning port, and a 4-inch screen.